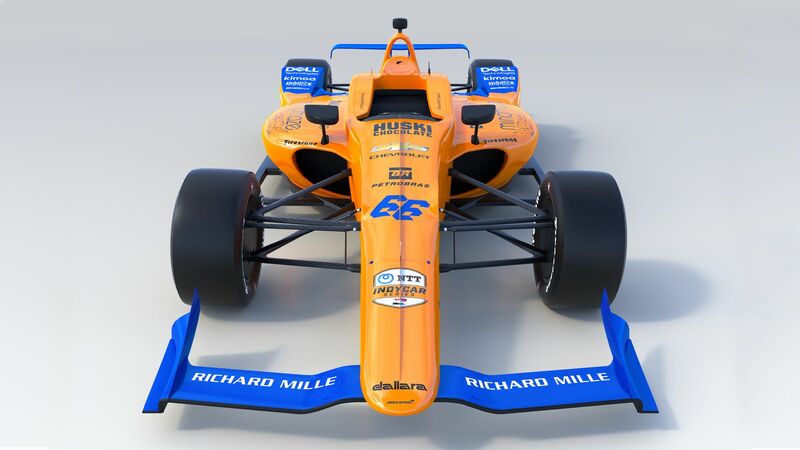 Star racing driver Fernando Alonso will attempt the Indianapolis 500 for a second time in May, this time behind the wheel of a Chevrolet-powered McLaren Racing entry. 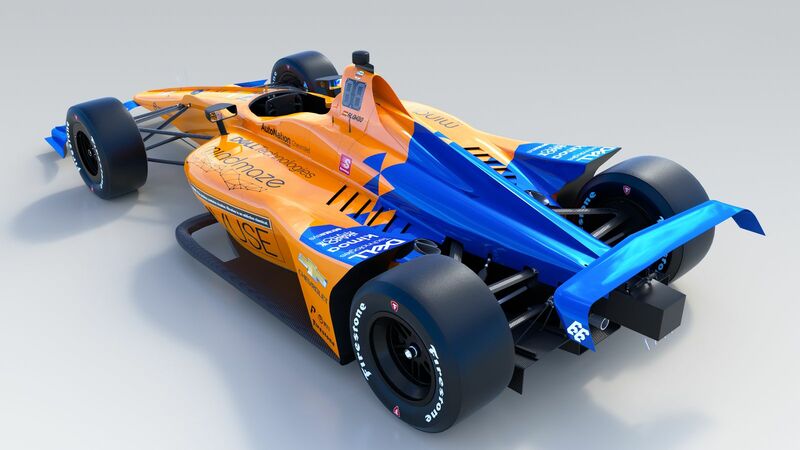 The famed Formula 1 constructor will field a factory-backed Dallara DW12 at the Memorial Day Weekend classic, and now, this year's challenger has been revealed in a vibrant Papaya Orange color scheme with blue accents, similar to that of the team's MCL34 F1 car. 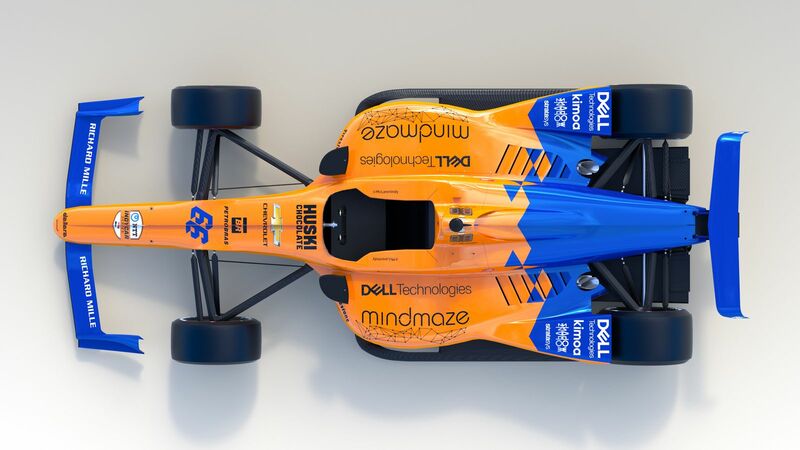 The UAK18-kitted Indy car proudly wears the No. 66, a throwback to the Penske-run McLaren M16 driven by Mark Donohue in the 1972 Indy 500. The British outfit hopes that this, too, will be a winner like its predecessor as Alonso, a two-time F1 Monaco Grand Prix as well as Le Mans 24-Hour winner, aims at motorsport's "Triple Crown." 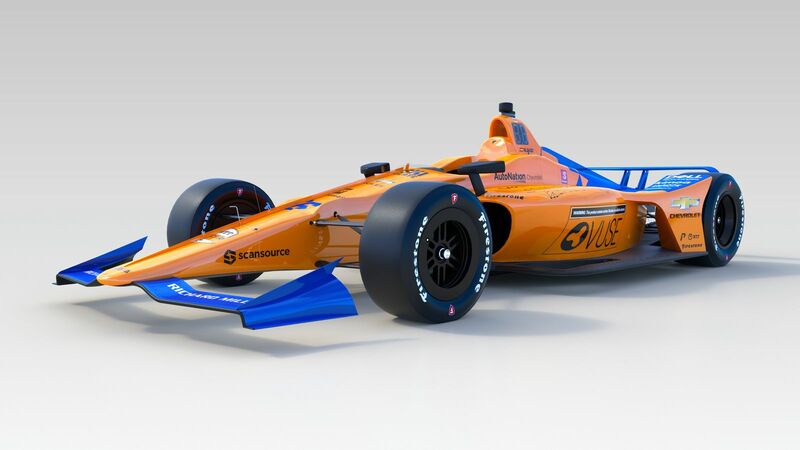 It's important to note the big-name sponsors that are coming along with McLaren for this ride at Indy, several of which also support the team in Grand Prix racing. Dell Technologies, Petrobras, and Richard Mille are familiar names to the Woking team, as is Huski Chocolate and the brand plastered on the car's side: Vuse. This is actually a sub-brand of British American Tobacco which sells what the company calls "potential reduced risk alternatives" to smoking cigarettes. Say what you will about the legality of such promotion, but know that BAT is bankrolling a large (yet unspecified) amount of this venture for McLaren. The No. 66, as mentioned, will debut on April 24 while its sister car will take part in an April 9 test at Texas Motor Speedway.